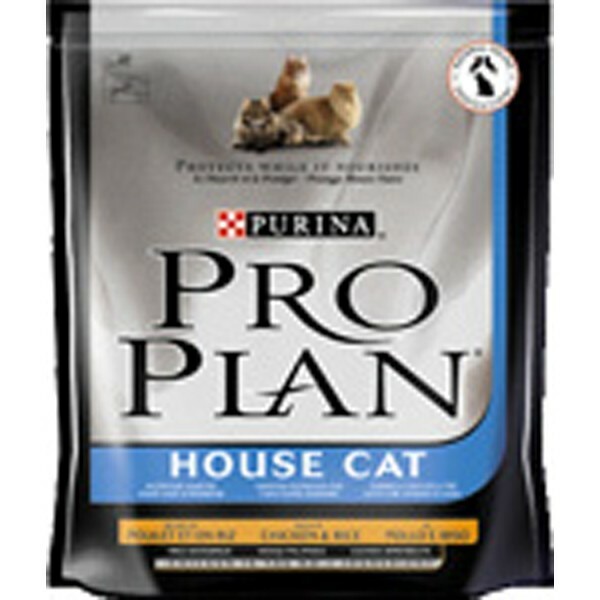 Purina Pro Plan House Cat is a highly palatable complete and balanced food, formulated for cats that live indoors, that are prone to hairballs due to shedding and grooming. 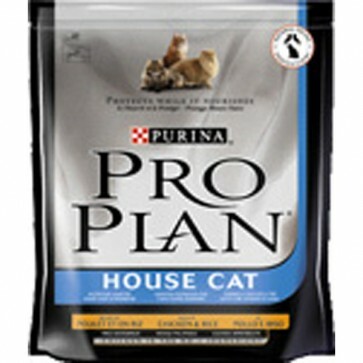 Pro Plan House Cat has been formulated with a combination of oat fibre and cellulose to provide a high fibre formula to help control hairball formulation and gently move the hair through the digestive tract as well as skin and coat essential nutrients to prevent excessive loss of hair during shedding and maintain a healthy skin and glossy coat. Purina Pro Plan House Cat is highly digestible, contains optirenal to support your cat's kidneys, helps reduce litter box odour and has been proven to reduce tartar build up, by up to 40%. There is no need to supplement Purina Pro Plan with any other food, including wet food. Digestion - Wholesome Cereal Grains, Natural Prebiotics and Rice for Easy Digestibility and Optimal uptake of nutrients.